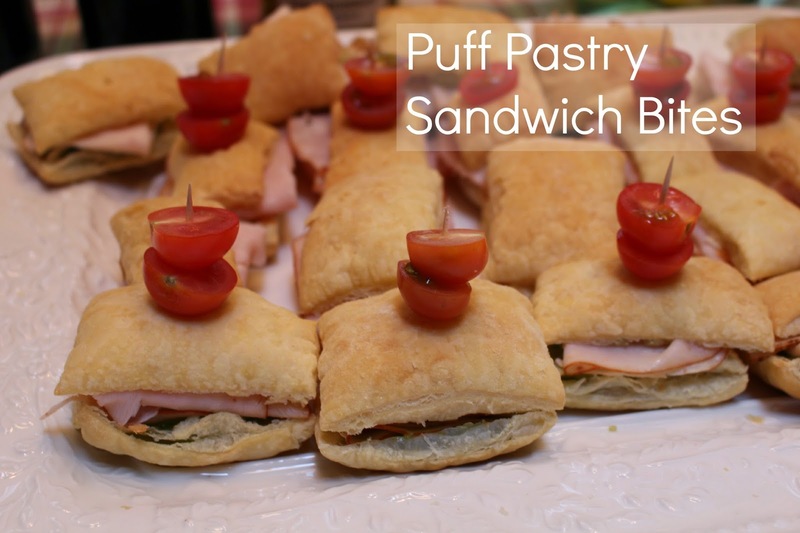 At a recent girls night I made these awesome Puff Pastry Sandwiches and they were a hit. They are a bit messy because the pastry is flaky but they were delicious. And everyone liked having options for what kind of sandwich they had. Thaw the puff pastry sheets according to the package directions (about 45 minutes). Unroll the sheet onto a lightly floured work surface, then use a pizza cutter to cut the pastry into small squares. Bake the little squares baking sheet lined with parchment paper at 400*F for 12-14 minutes. Once the pastry squares are baked and cooled, separate each square open (horizontally) to create a top and bottom piece of "bread" like a mini sandwich. Spread a thin layer mayo, mustard or pesto sauce onto one side of the sandwich, then add a slice lunch meat and a slice of cheese. Top with matching pastry square. 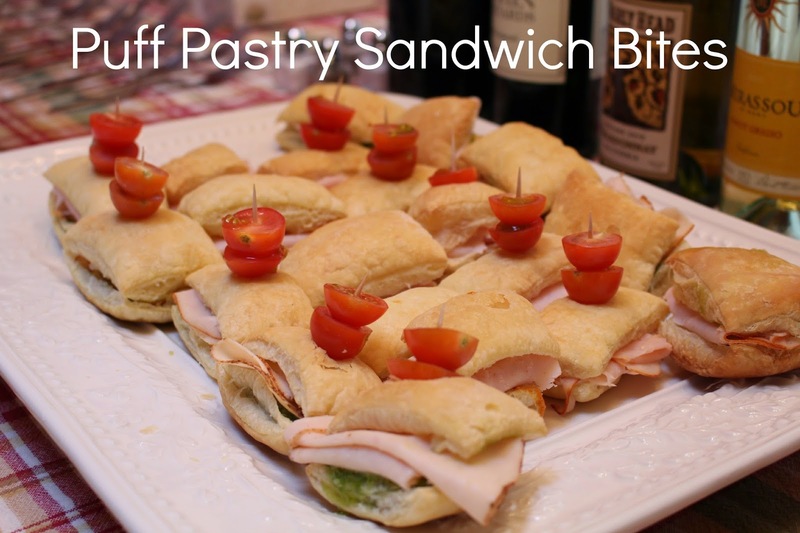 Finish the mini sandwiches with a cherry tomato and a toothpick to hold it all together.